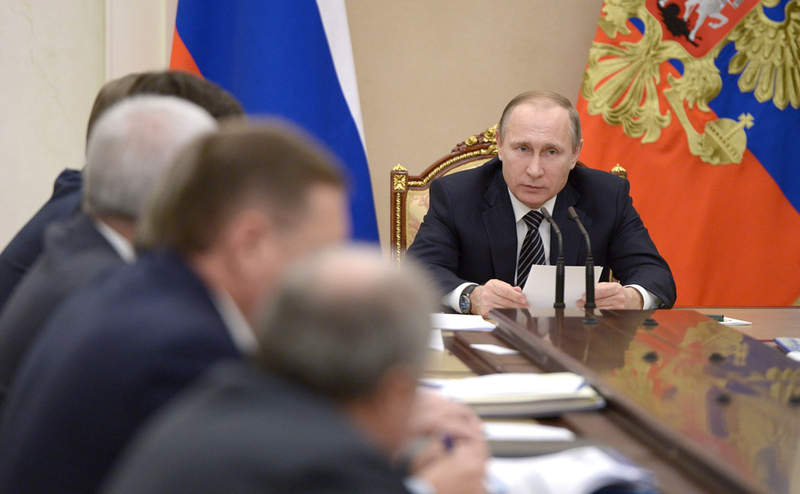 President Vladimir Putin during the meeting on development of the oil sector. Russian oil producers have agreed not to increase oil production, President Vladimir Putin said at a meeting on development of the oil sector. Other, more radical proposals for stabilizing the oil market are available, he said. "You know that the Energy Ministry, Alexander Valentinovich Novak, his experts are engaged in working out questions connected with stabilization of the global energy market. They are continuously consulting with our partners, the leading participants of the global oil market. Measures that could ensure market stability are being discussed. Balance out supply and demand," Putin said. "That is, this involves, as the minister reported to me, and he was reaching agreement on this, had practically agreed with our partners on the global market, our not increasing oil production this year," he said. "And the purpose of our meeting today is precisely that I would like to hear from you, will you really support this proposal of the minister? How do you feel about this?" the president said.